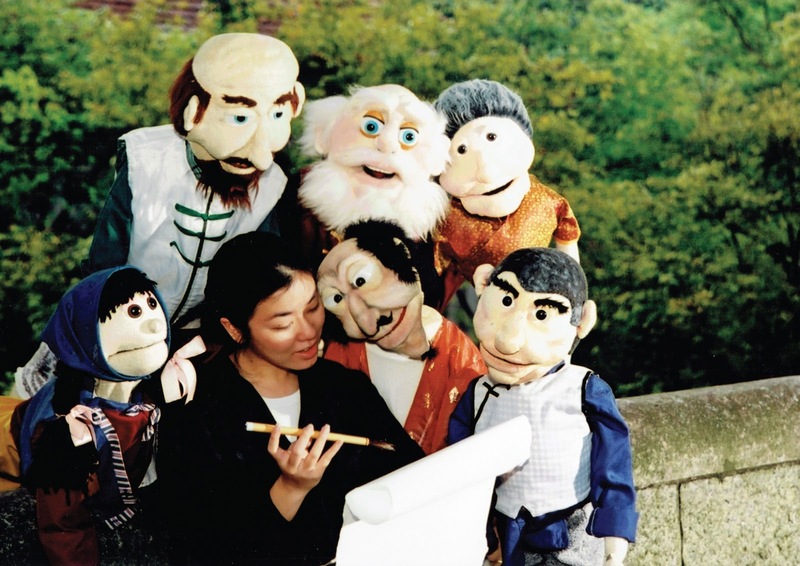 This October, watch an old-time classic unveil live on stage, as itheatre brings through an endearing Chinese folk the tale of The Magic Paintbrush! 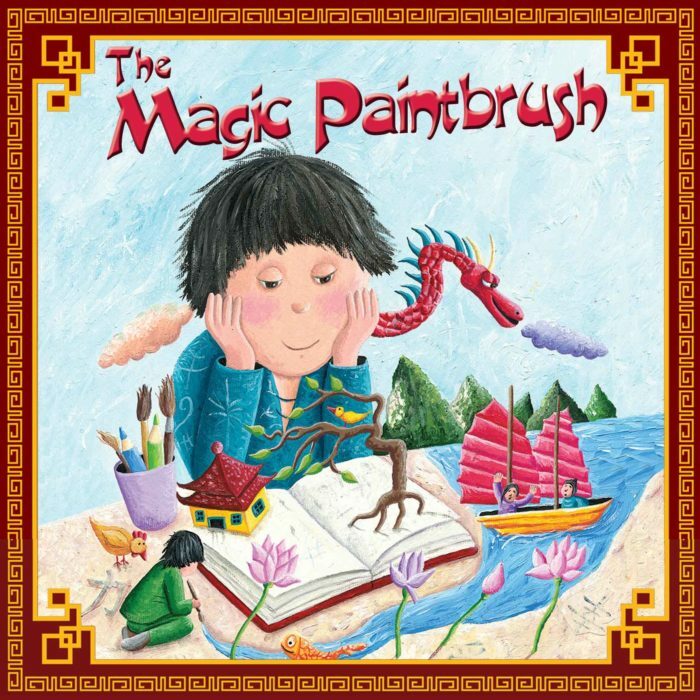 The Magic Paintbrush will be a musical treat, where any child over the age of three can bring their parents, and older brothers and sisters, aunties and uncles. Basically a whole kampong of people will enjoy it. Marvellous music, puppets and lively action will enthral the youngest audience members, whilst a witty script will entrance grownups and older children. Toni Lee, a youngster from present-day Singapore is struggling with the pressures and stress of schoolwork and parental expectations. What a familiar local scene! With an accidental wish, Toni quite unexpectedly meets a Magical Paintbrush, and is transported back in time to a Southern Province of China, where Toni becomes Ma Liang. In a series of magical adventures, Ma Liang’s story unfolds. Meet the tuneful Phoenix who guides and helps Ma Liang with his quest. Watch out for the comical Palace Guards, Sotong and Shrimp, as they try to capture Ma Liang for the cruel, greedy Emperor and his wicked schemes. Through much fun and laughter, a clear and strong moral message about the value of creativity, friendship, and the dangers of using, or abusing power is presented in this magical, musical family show. Suitable for kids above 3 and definitely a great treat for the after exam kids! You don't have to, but sharing is caring! And yes, you may try your luck with both handlers. Giveaway closes on 03 Oct 2016, 2359hrs. Best of luck! Open ended play is always the best play for any child. Being parents, we love toys that allow free play and endless imagination. Little Llama sent our kids a couple of MOLUK toys, and we were thrilled by its simplicity. MOLUK, founded in Switzerland strives to create innovative and sustainable products that don't just entertain kids on a superficial level, but invite real interaction. We had the opportunity to explore the Bilibo, Oogi and Plui rain cloud. I really don't know what this is, but I know the kids are having some crazy fun with it. Along with the endless exploration, they sit, rock and spin in it, play games and hold stuff in it. Free play means there is no one way of dealing with it, whether indoor or outdoor. This multi-award winning Bilibo is widely regarded as one of the most innovative and versatile open-ended toys. Deceptively simple and magically attractive, it's iconic shell shape and bright colors immediately appeal to kids. Bilibo arouses curiosity and playfully trains basic motor skills and balance. It is highly durable and shock resistant for the hands of any kids. For choosing the colour green, I am coincidentally converting one of the kids to a turtle. There really are endless possibilities to playing it, we've tried filling it with smaller toys and spin it so quickly until all of the the toys fly out. Not my favorite for clean up, but it sure was fun to watch how delighted the kids were to watch their toys being strewn everywhere. We also used it in the bathroom as a mini tub for play. Starting to look more of a human toy. Oogi is an irresistibly tactile and wonderfully expressive new figure toy. With suction cup head, hands and feet, and long stretchy arms, it connects to any smooth surface. The suction is mild, hence it does fall off any smooth surface after some while. The kids would fix Oogis on their Bilibo or even bring it into the bathroom for little brother's shower entertainment. They play quite a fair bit of it in the kitchen's fridge while I'm whipping meals up. These Oogis love doing yoga and crazy acrobatic tricks. Whatever the kids can think of, they will flex. I love how easily these can fit in any bag for bringing entertainment out. It goes anywhere and everywhere easily. Mama's best deal is that they are made from high-quality, food-grade silicone rubber that's safe and durable. This is sounding like something chew-able for our baby! Bet he will love this play. I found out, this is my favourite toy of all. For the learning of science out of it. Sink the toy cloud into a tub of water and spot bubbles oozing out of the top hole as it allows water in. We explained that the cloud is removing air to make room for water to come in. Kids then become little rainmakers by bringing the water filled cloud up to create rain! We are also in command to stop the rain by covering the top hole with our finger. By doing this, air is prevented from pushing the water out. Learning through play is exemplified! Don't you think Science should come in as a subject in lower primary? Young kids are often so filled with curiosity. This little rain cloud is quite an indispensable accessory during our bath time now. I love too that there's a hidden mechanism that allows parents to open the Cloud for cleaning. No worry about mould growing. This is another high quality toy that's free of phathalates, BPA or lead. I love how these toy selections come with no small parts and are safe for very young toddlers. It's evident that the simplest toys can bring endless entertainment. There are no ON and OFF switches, batteries or complicated instructions, they are all powered simply by a child's imagination! MOLUK toys can be purchased at Little Llama, with free shipping over $60. They do have bundle deals which can be great as gifts too. And if you are on Instagram, you may hop over to @mumscalling participate too! Giveaway ends on 21 September, 12:00am.